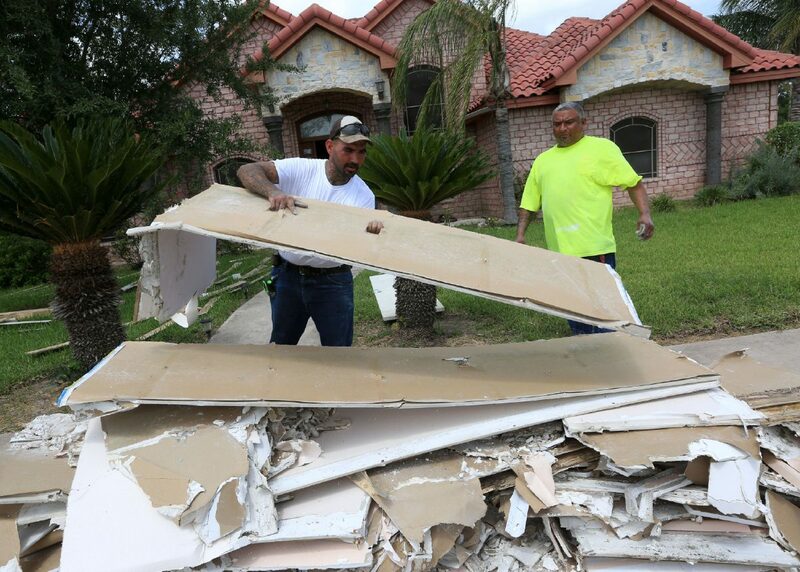 Victor Mullens, left, and Joe Montez remove flood-damaged sheet rock from the home of Narcisco Conde Monday, July 9, 2018, in Wesalco. 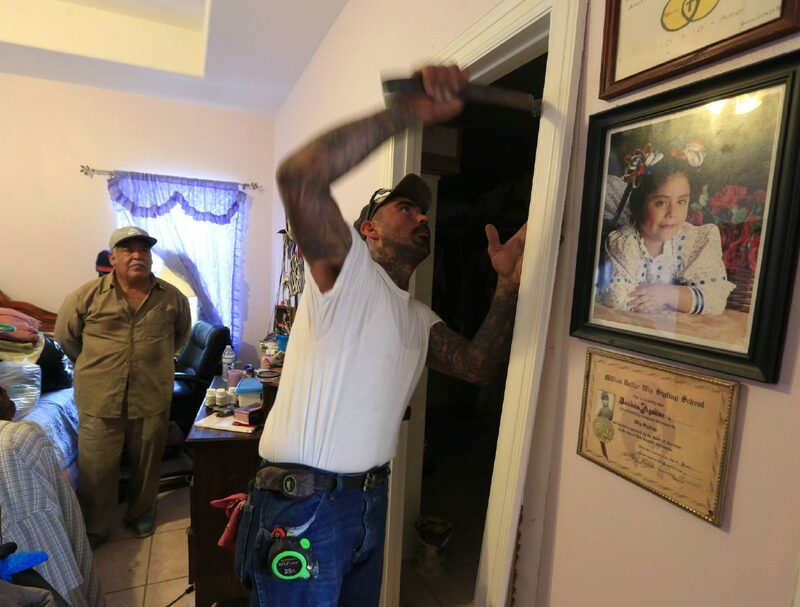 Victor Mullens removes a moulding from a door frame as he prepares to remove sheet rock from the master bedroom of Narcisco Conde's home as Conde watches him on Monday, July 9, 2018, in Weslaco. Conde's home was one of many in his neighborhood that was flooded following heavy rains two weeks ago near Westgate Drive and Sixth Street in Weslaco.